DCU announced they have signed a partnership with the United Nations to combat internet bullying. It was announced this morning that DCU will partner with the United Nations Educational, Scientific and Cultural Organisation (UNESCO) to establish a ‘global partnership’ to tackle online bullying and cyberspace. The initiative will work alongside schools and work to reduce bullying and develop a set of measurements to guide teachers and parents on how to deal with this form of bullying. “This agreement is a significant development reflecting a concerted global effort to combat the harm caused by bullying in schools and bullying in cyberspace”, Professor Brian MacCraith, President of DCU, said when announcing the development. A chair will be appointed to DCU by the UNESCO which will work with researchers and academics in Ireland, documenting cases of online bullying and raise awareness of the harm associated with it. MacCraith also said that this partnership will enable “the development of a comprehensive body of research, including interventions, which will have a transformative impact, not only in terms of expanding the knowledge base on this issue but also in the context of providing teachers, educationalists and parents with best practice intervention methods to help combat bullying”. The initiative will initially run for four years and will have a large focus on young people. The agreement of this partnership and to establish a research centre at DCU was signed by Audrey Azoulay, the Director General of UNESCO and Professor Brian MacCraith. 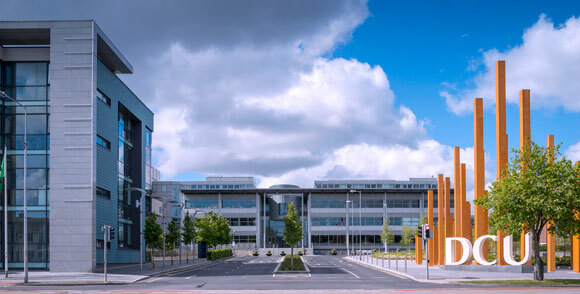 DCU currently has a number of international research centres such as the National Anti-Bullying Research and Resource Centre, Vox-Pol and the Institute for International Conflict Resolution.